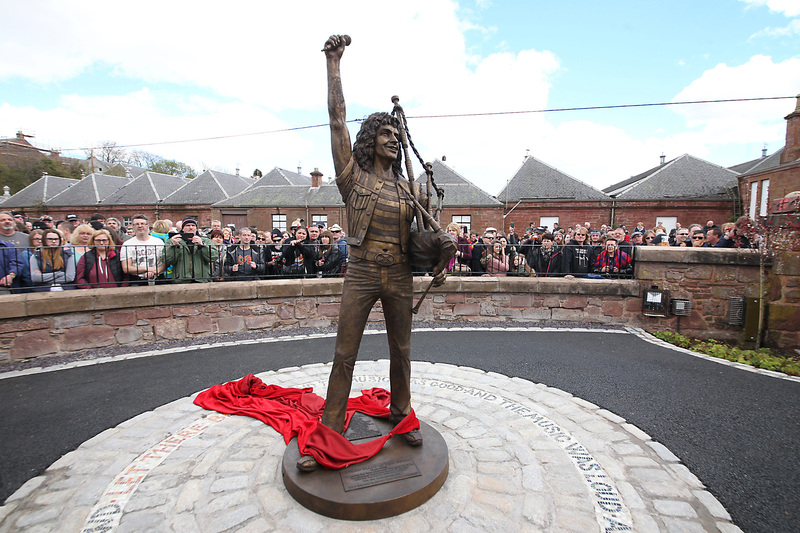 The Bon Scott statue in Kirriemuir. 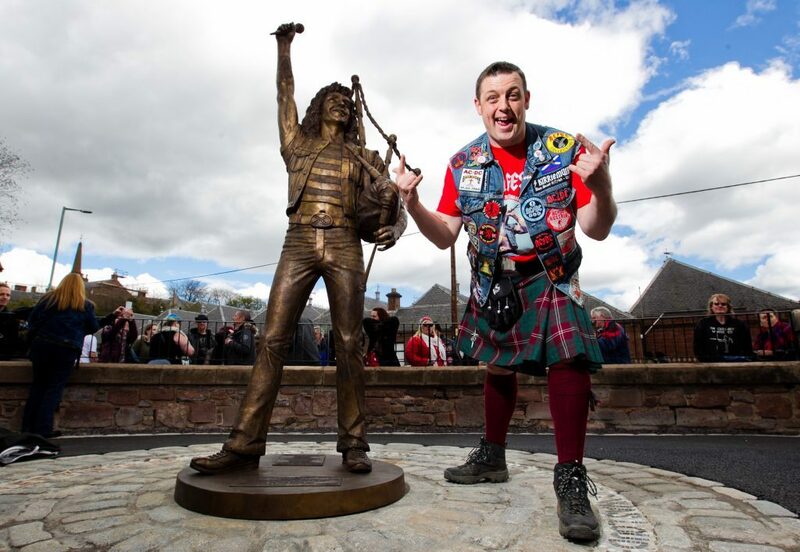 Kirriemuir rock hero Bon Scott’s music is proving popular with a whole new fanbase thanks to the first AC/DC gay band. It’s all down to Los Angeles-based gay tribute band GayC/DC which has been making headlines after experiencing a recent surge in popularity and social media hits. The five-piece decided to reclaim a number of AC/DC hit songs and also let themselves have “cheeky fun” with the lyrics. Bon Scott’s life and musical legacy is celebrated in Kirriemuir every year at the annual Bonfest which is organised by DD8 Music. Bonfest chairman John Crawford admitted he’s a fan of GayC/DC’s music but said their emergence on the scene has just been too late to make next year’s line-up. He said: “These guys certainly are the first Gay AC/DC band I’ve heard of to be honest, and have got a very good musical sound. “Bon had very influential lyrics that everyone can relate to in some part, regardless of colour or sexual orientation. “The power of lyrical talent that Bon had was based on life experiences as a teenager and young man, so most of us at some point in our lives would have been in at least one of Bon’s several situations. John Crawford of DD8 Music. GayC/DC singer Chris Freeman said he personally prefers the Bon Scott years to Brian Johnson’s later reign. “At the time, they were almost considered punk,” he said. “We do stuff from the Brian Johnson era, but we’re more selective. The lion’s share of the material that we’re doing is from the Bon Scott era. “For me, the whole experience of AC/DC is dripping with macho heterosexuality, and that part was hard for me to relate to. “But I loved the music, that part I could relate to. Drummer Brian Welch said he grew up listening to AC/DC but the “boy/girl/boy bangs girl thing wasn’t something I could relate to”. “I wanted the songs to speak to me, and that’s a big reason we started this band,” he said. Scott and his family grew up in Kirriemuir, where father Charles Scott worked in the family bakery in Bank Street. In 1952, when Scott was six, the family emigrated to Australia. Once there he became part of one of music’s biggest successes after joining Glasgow-born brothers Angus and Malcolm Young in their band, AC/DC.